A private Elevator takes you into your Sunset Tower Suite with 10 Ft ceilings, sunset views of city of Miami and bay. Spacious 1 bedroom + den which could convert into a second bedroom or office and 2 full baths. 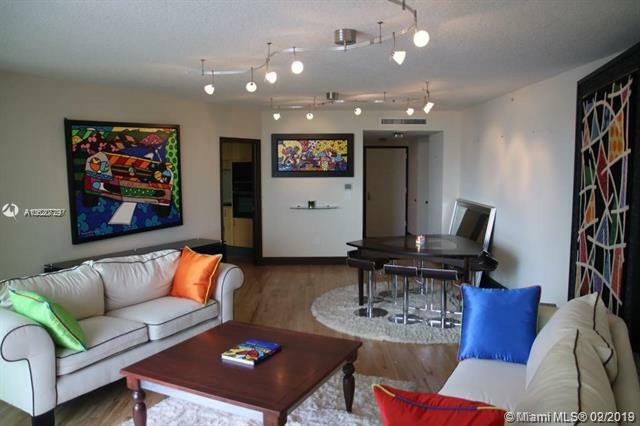 Soaring 10ceilings,marble baths, Snadiero Kitchen, Lower Penthouse, assigned parking space close to elevator. Full service building with extraordinary amenities, beach services, concierge and 24 hour front desk security ...OCEANFRONT LIVING AT ITS BEST!! NO NEED TO DEAL WITH TRAFFIC....WALK EVERYWHERE TO WORLD CLASS RESTAURANTS, SHOPS, ENTERTAINMENT AND CULTURE. Least expensive at prestigious IL Villaggio. Enter this amazing direct ocean residence thru your own private elevator and be greeted by spectacular turquoise water of the Atlantic Ocean. Only IL Villaggio offers 4 luxurious direct ocean 1 bed. A rare opportunity to own at the most exclusive Oceanfront Boutique Condo with direct ocean views, newly renovated lobby and full luxurious amenities & services from private concierge services to private beach services, social functions and a two story fitness center. The residence offers marble floors, bathrooms, impact glass throughout, two balconies and top of the line appliances. THIS IS THE PERFECT BEACH PAD at the intersection of famous Ocean Drive & Lummus Park. NO NEED TO EVER DRIVE, WALK EVERYWHERE IN BEAUTIFUL SOUTH BEACH, your ultimate paradise. One of Il Villaggios best direct ocean 2 bed + den with 3 full baths units available, with ultra-luxury interiors. Unique floor plan with wood framed glass privacy walls, marble floors, custom built-ins and lighting, surround sound, and a soothing monochromatic color palate. Luxury building amenities include 24 hour security, concierge, valet, private beach lounges, pool and beach attendants, two story fitness center, oceanside promenade and community room. MAGNIFICENT DIRECT OCEAN RESIDENCE WITH 10 CEILINGS BY BART EMERSON. COMPLETE RENOVATION a la Parisian Chic. An Ocean Castle in the Sky with attention to every detail that can only be found in the most distinctive properties on earth. Perfection best describes this lower Penthouse with 10 ceilings, private elevator opening into your residence, flow-through floor plan affording both sunrise and sunsets views , split bedrooms for privacy. Open kitchen design with dramatic chandeliers is conducive for entertainment or family lifestyle. Each bedroom has its own private balcony & bathroom. Exquisite execution by Bart Emerson Lee. IL Villaggio on South beach is a full luxurious service condominium with the finest amenities and attentive staff. Sensational Fully Renovated 3 BD/3 BA Residence at prestigious IL Villaggio. Direct ocean,coastline & skyline sunset views compliment this beautifully appointed NE corner Residence. This masterfully designed home boasts an open layout offering the highest quality finishes & details including Carrera marble floors, custom millwork, private elevator, designer lighting, electronic window treatments, Poggenpohl chefs kitchen w/ wet bar, custom built closets, Crestron home automation & surround sound, and a palatial master suite w/ designer appointed bathroom. Enjoy 5 star amenities such as pool/beach service, 2 story gym, residents lounge, concierge, free valet for guests, 24 hr guard gated entry & security, & more! One of the only fully renovated Residences for sale on a high floor! 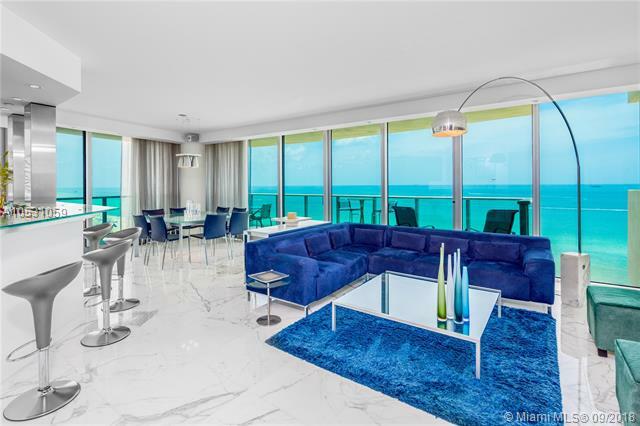 :ONE OF A KIND SAUGHT AFTER UNIT WITH SPECTACULAR UNOBSTRUCTED VIEWS OF THE OCEAN, OCEAN DRIVE, LUMMUS PARK & SOUTH BEACH. FEATURING STONE FLOORS, OPEN KITCHEN WITH TOP OF THE LINE APPLIANCES , MARBLE BATHS, PRIVATE ELEVATOR, 3 LARGE TERRACES AND 2 PARKING SPACES. BOUTIQUE LUXURY CONDO OFFERS 24 HOUR SECURITY, COMPLIMENTARY VALET, PRIVATE BEACH SERVICES, CONCIERGE, SOCIAL EVENTS, FITNESS CENTER & MUCH MORE. IL VILLAGGIO IS A WAY OF LIFE! A unique two-story, southeast corner, duplex located in the prestigious Il Villaggio on Ocean Drive. 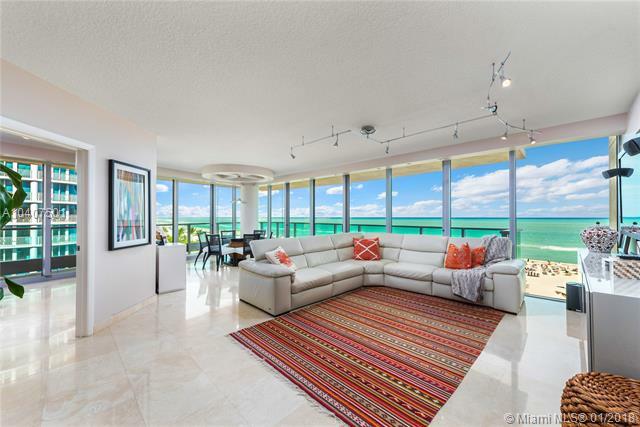 This spectacular beach house unit is the only one of its kind & boasts direct ocean views to the east & unobstructed views of Lummus Park to the south. Two stories of floor-to-ceiling glass, a soaring great room with over 22 ceilings, a dramatic grand staircase & an open floor plan are just some of the features this spacious property has to offer. Oversized wrap around terraces that command ocean views from every room & a master suite with his & her private baths. Enjoy your own private villa on the beach while experiencing the amenities of a full-service, luxury building offering residents privacy with 24h security, concierge, white glove beach service & valet.